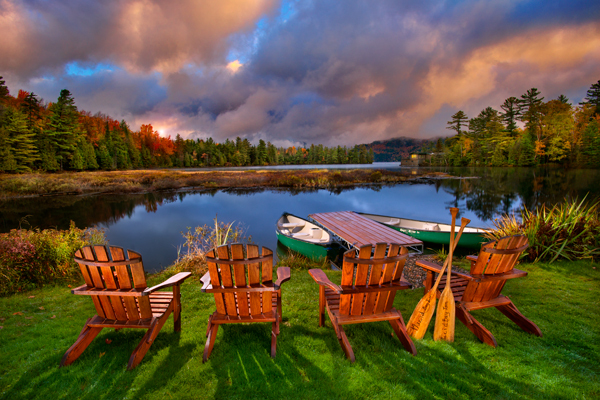 The Adirondack Park is located in upstate New York, in the U.S. It covers approximately 6.1 million acres of land, which is more than Yellowstone National Park, the Grand Canyon and the Great Smoky Mountains combined! 57% of the land is privately owned and it contains 102 towns and villages, one of which I happened to grow up in. It has a year-round population of about 132,000 people, with an additional 200,000 calling this place home on a seasonal basis. Part of the reason this is such an attractive place to visit, is it’s many natural beauties to behold. 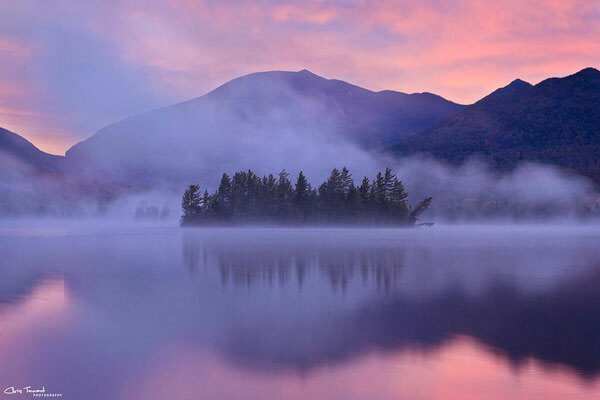 The Adirondacks host over 10,000 lakes and 30,000 miles of rivers and streams! I want to take you on a quick tour through the area that I once again call home. Mother Nature provides the dramatic changes of scenery as we roll through the four seasons. This is the view from Mount Marcy, the highest peak in the Adirondacks, at an elevation of 5345 feet. Big Moose Lake, as the first rays of the morning sun cause the fog to rise off the water’s surface. Summer traditionally goes by much too fast and it doesn’t take long for the trees to start changing color. 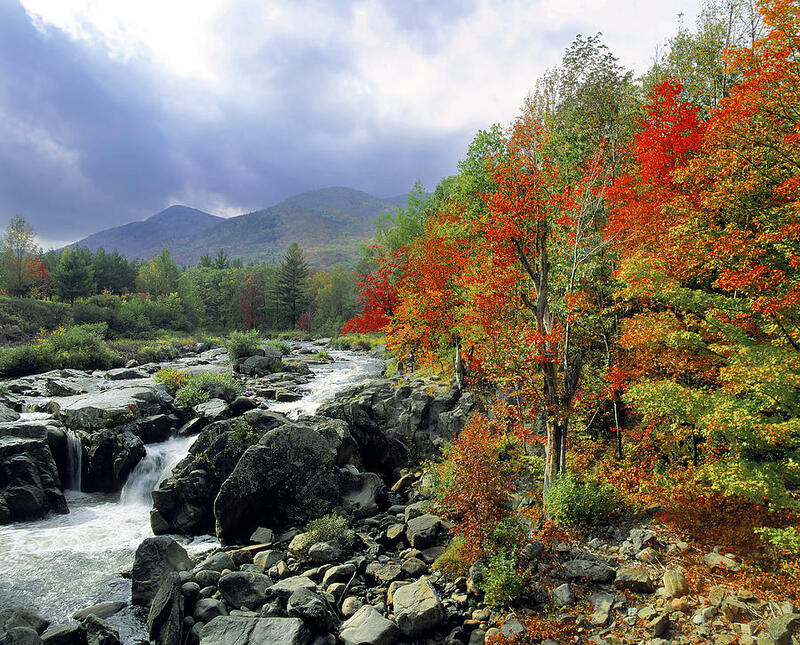 Leaf peepers come by the 1000’s each year to take in the spectacular beauty of the fall foliage. Here is a view from one of the many motels that rely on the tourists each year. This is part of Lake Placid, host of the 1980 Winter Olympics and this style of chair is known simply as an “Adirondack ” chair, very comfy. When Old Man Winter arrives in the mountains, the bright sunshine does little to warm the air. Ice crystals shimmer like diamonds and skiers delight in the white powder that covers everything. If skiing isn’t your thing, there are different modes of transportation available for traversing through the snow. A romantic one-horse sleigh ride is something I feel all couples should experience at least once in their lifetime. When the snow finally melts in the spring, the streams and rivers of the Adirondacks swell and whitewater rafting is an exhilarating activity that is guaranteed to make your heart race. Guided trips are available for rafters of all levels of experience. As you can see, the Adirondacks are a truly beautiful place to live and visit. So the next time you plan a vacation, you should consider coming to the Adirondack Mountains of New York!